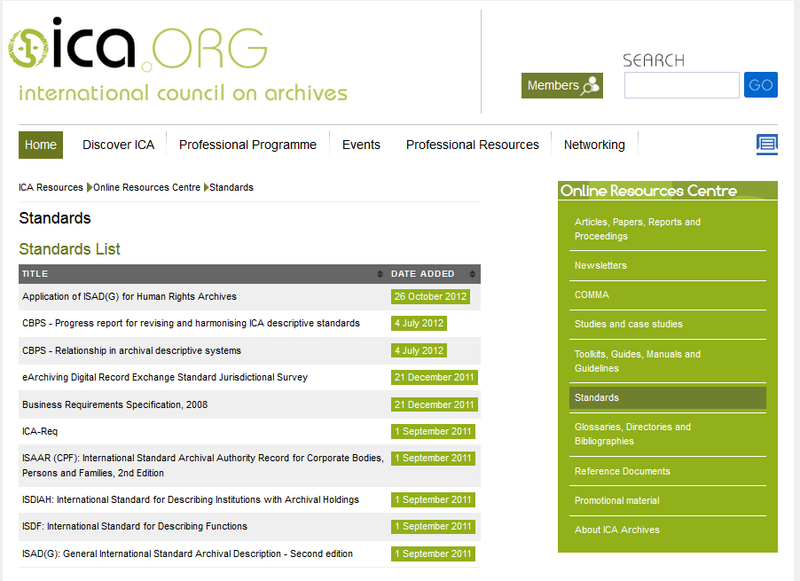 While AtoM was originally designed around the ICA’s international descriptive standards (ISAD, ISAAR, ISDIAH and ISDF), it is intended to be flexible enough to accommodate other practices based on other (national or local) descriptive standards, including those intended for libraries, museums, and art galleries. “Support” means that users of another standard should be able to use AtoM to produce outputs that are compliant with that standard. This includes the ability to enter data in fields that represent all of the data elements required by the standard, interact with (view, edit, search) data in ways structured by and labeled according to the terms of the standard, and output (print, export) data in formats compliant with the standard. Adding support for another standard requires a developer to work on the underlying software code. Once support has been added, however, AtoM provides an interface allowing administrators to easily select their preferred standard and to switch between the various standards. 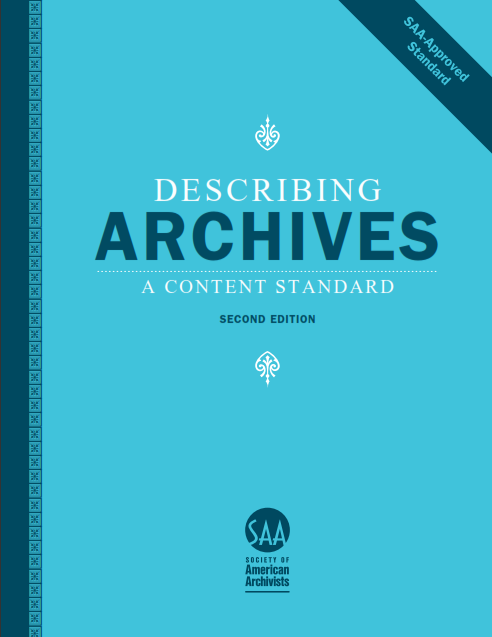 Users of other descriptive standards should be aware that this manual is generally based on the ICA standards for its examples and screenshots. Standard-specific sections are noted below. 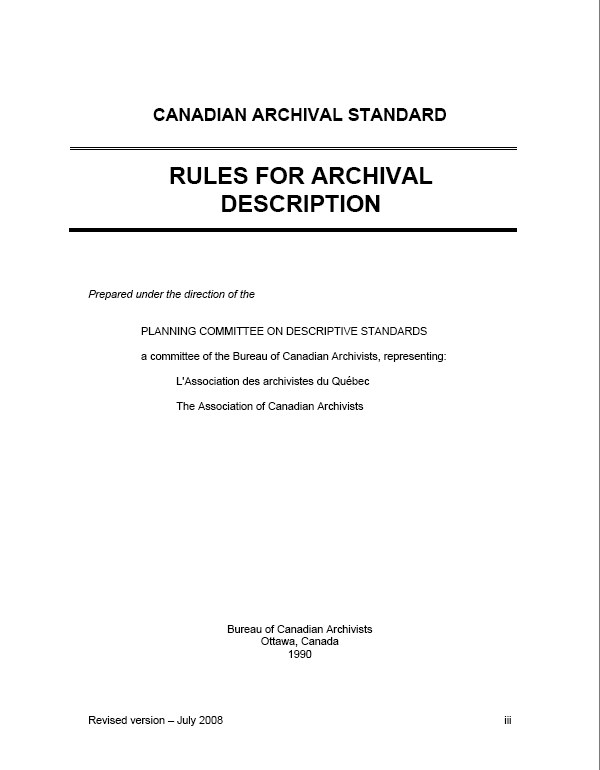 RAD is maintained by the Canadian Council of Archives and is available at http://www.cdncouncilarchives.ca/archdesrules.html. RAD-specific sections of this manual are available at: Rules for Archival Description (RAD). AtoM implements unqualified Dublin Core Metadata Element Set, Version 1.1.. Dublin Core-specific sections of this manual are available at Dublin Core (DC). The MODS standard, maintained by the US Library of Congress Network Development and MARC Standards Office, is available at http://www.loc.gov/standards/mods/mods-outline.html. Currently AtoM supports the Digital Library Federation second level of adoption for MODS (see DLF Aquifer MODS Guidelines Levels of Adoption). MODS- specific sections of this manual are available at: Metadata Object Description Schema (MODS).